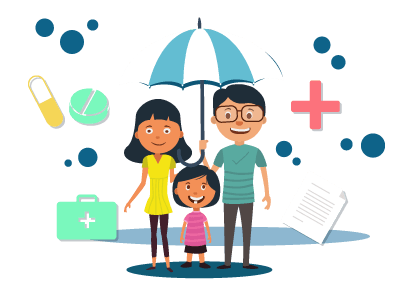 How to Check Bajaj Allianz Policy Status? Bajaj Allianz Life Insurance is one of the most reputed insurance companies in India. It provides a range of insurance products and caters to different needs of its customers. Bajaj Allianz, over a period of time, has understood the power of the internet and how it can be beneficial for them and also for its customers. If you are a Bajaj Allianz Life Insurance customer, you can easily manage your policy in a hassle-free manner from the convenience of your home. We will look at different methods that you can use to manage your policy. Visit the Bajaj Allianz Life Insurance official website. Click on ‘Login’ which is located on the top right corner of the page. You will be directed to a separate page. You can then enter your registered email ID, mobile number, or user ID followed by your password. You can also request for a One-time Password which will be sent to your registered mobile number. You can also use your Facebook or Gmail account to log in to the portal. There might be times when you realise that you do not remember your password. You do not have to worry as you can use the ‘Forgot Password’ facility. Enter your email ID, mobile number, or user ID. Click on ‘Email Password’. Login to your registered email ID account and follow the instruction to create a new password for yourself. Scroll down slightly, and click on ‘Track Your Application’. You will be directed to a separate page called the Application Tracker. Enter your ‘Application Number’ or ‘Proposal Number’ followed by your ‘date of birth’. Click on ‘Submit’. You will then be able to track your application. In case of any service-related queries, you can call the number 1800-209-7272. In case of any queries related to online purchasing or renewal of your insurance policy, you can call the number 1800-209-4040. In case you have any purchase-related query, you can give a missed call to the number 8080570000. You can also use the ‘Call back’ service which you can find on the official website of the insurance company. All you have to do is enter your name and mobile number, and click on the box which permits the insurance company to call you back. Click on Branch Locator. You will be directed to a separate page. Select the state and district in which you reside and click on ‘Select Branch’. You will be able to locate the nearest Bajaj Allianz Life Insurance branch near you along with its address. Click on the ‘Chat With Us’ icon available on the main page. You can either use ‘BOING’ which is the insurance company’s chatbot facility. You can also use the ‘Live Chat’ facility where a customer executive will get in touch with you. You can use the SMS service where you can send the service code to 9225850101 in a predetermined format. For example, if you want to check the Fund Value of your policy then type FV 123456789 where the number is your policy number and send it to 9225850101. You can send your queries to customercare@bajajallianz.co.in in case of any query. Thus, it is extremely simple to check the status of your policy. All you need is a secure internet connection and a laptop or a smartphone and you will be able to check the status of your policy anytime you want in a hassle-free manner from the convenience of your home.